Angel Aviles grew up on the lower east side of New York City in a home filled with drama, literally. Her mother was part of a local theater group and exposed all of her children to the lively and fine arts from the earliest ages. With the energy of a dynamically charged urban environment as a major influence, it didn’t take long for Angel’s vibrant creative spirit to manifest itself. She studied dance, at the prestigious High School of Performing Arts, and drama at Hunter College. Angel was soon bitten by the acting bug. She left college with several commercials and a short stint on daytime television added to her resume and followed her brother Rick Aviles (some may recall him as Willie Lopez in the film classic GHOST) to Los Angeles. Today, Angel is a motivational speaker and transformational life coach. Her ability to reach out to community’s all over the world is a gift and her calling. With humor, humility and relatable vulnerability, Angel is able to reach across the chasms that separate the Latino community. Her message from Beverly Hills to any barrio in the world is always true and always the same, Stay centered and you can do anything you set your mind to do. Angel’s work in Los Angeles included projects by Quentin Tarantino, Alan Rudolph, Michael Patrick King, and Steven Bocchco. 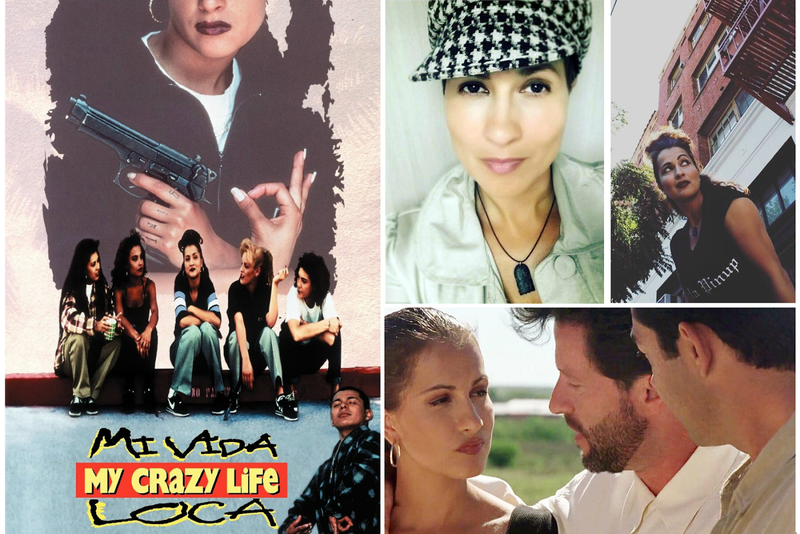 She landed a principal lead in the Allison Anders girl gang classic “Mi Vida Loca,” portraying Sad Girl, a role for which she is still recognized. While on the set of the Robert Rodriguez film “Desperado”, Angel spotted her first non-linear editing system. In 1996, Angel returned to school to study, multimedia production. Angel remains extremely active online and is considered a social influencer. To access her social media posts, select a network below.